AMSTERDAM – December 8, 2015 – Despite its high-profile data breach and very public fallout this summer, the controversial dating app Ashley Madison is bouncing back to pre-hack user numbers, according to the findings of the latest Android App Performance & Trends Report. 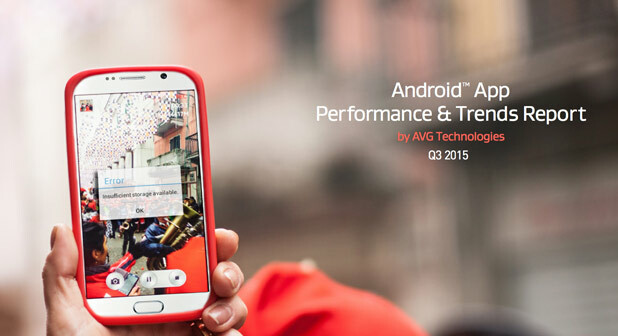 Compiled on a quarterly basis since Q3 2014, by AVG® Technologies N.V. (NYSE: AVG), the online security company™ for more than 200 million monthly active users, and using anonymous data from over one million AVG Android app users, the report aims to highlight app usage trends among consumers, and identify apps having the most effect on Android battery life, storage and mobile data volume. Perhaps in anticipation of a ‘singleton’ Christmas, dating and cheating apps, in general, saw an uptick in usage over the third quarter, with Ashley Madison competitor platforms MiuMeet and AnastasiaDate both joining the app in seeing a rise in numbers from the previous quarter. Also examining the apps most likely to negatively impact device performance, the report saw popular retail apps, Amazon Shopping and Walmart, emerge as two of the top battery-draining apps – suggesting that the holiday season could well be as tough on devices as it is on wallets. The following 20 apps – differentiated by those run at start up or run by the user – consumed the most overall battery drain, storage usage and mobile data combined. “Over the last year, we have been focused on helping our users understand which apps have the biggest impact on their smartphone performance. Based on the findings from all four quarterly App Reports, to date, and the engagement they have driven with consumers, we have developed a tool called AVG App Manager,” said Tony Anscombe, Senior Security Evangelist at AVG Technologies. “With AVG App Manager, Android users are able to see which apps are affecting their individual smartphone’s performance and then use this information to make better-informed choices about how to best manage their smartphone resources,” Anscombe concluded. Available through AVG Cleaner for Android, the AVG App Manager observes the phone’s performance and gives an overview of app usage, including how each app is affecting storage, battery and mobile traffic. IT administration, control and reporting, integrated security and mobile device management that simplifies protection for businesses.All trademarks are the property of their respective owners.